General Electric has had an outsized presence in Lynn for more than a century. For more than a century, landing a job at General Electric in Lynn was like winning the lottery. From World War 1 on, men and their children and their grandchildren knew there’d be food on the table and clothes on their backs. While Boston celebrates GE’s recent announcement it will build its headquarters there, the aviation plant in Lynn has been that city’s prime economic engine since it arrived in 1892. For those interested in the birth of American high tech, it would be wise to open a history book and study the creation of GE — or “the GE,” as locals call it — in Lynn. While the largest industrial company in the country plans to bring 800 jobs to Boston, that’s a fraction of the 10,000 workers that were tinkering with electricity and building steam turbines, generators, trolley motors, and movie theater lighting in 1910 in Lynn. In the Lynn neighborhoods surrounding GE, people walked from their modest single-family homes and double-deckers to work, and elevated the company to near-deity status. Read: Horowitz: Are incentives like those for GE effective? By World War II, GE’s Lynn plant was running three shifts a day, and all hands were needed to help build tens of thousands of turbo superchargers, which enabled Allied planes to fly thousands of feet higher than German aircrafts. Rich Gorham, a GE spokesman, said more than 20,000 people worked for the company in Lynn during the war. 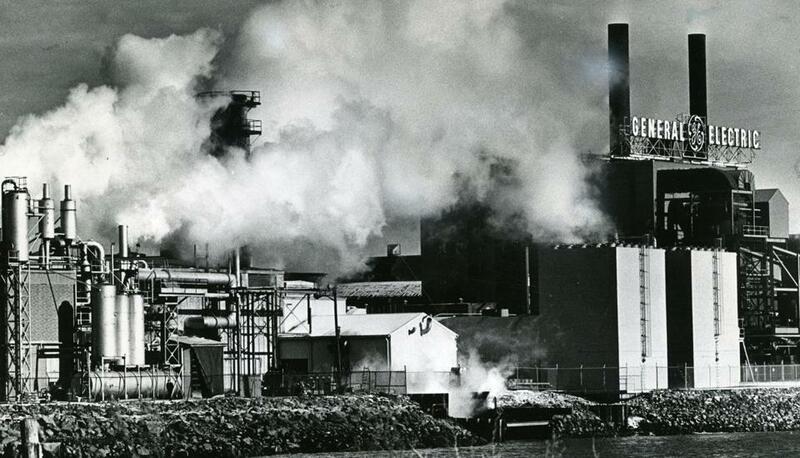 “Electricity was the high tech, and it changed the world,” said David Carpenter, 71, a retired GE worker who has written several books on GE’s Lynn history. The war changed Lynn’s economy and had a ripple effect that boosted the welfare of families along the North Shore. Along Western Avenue and inside the cavernous block-long brick buildings and warehouses at the Lynn plant — where security clearance is needed to enter to this day — aviation became the new buzzword in Lynn. “World War II was the beginning of jet aviation, and it was all centered in Lynn,” Carpenter said. In 1942, the first jet engine was built in Lynn. It wasn’t used in the war, but it was perfected at the plant, which built the J47 turbojet engines that were used for fighter planes in the Korean War. By the late 1950s, GE began building helicopter engines, including the one that’s in President Obama’s chopper when it lifts off from the White House. 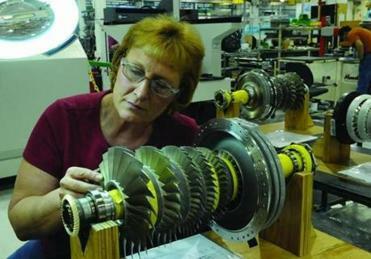 In the 1990s, adjunct GE plants in Everett and Medford that made aircraft engines parts and components closed. These days, 4,800 people work for GE in the state — with 2,850 based in Lynn — making the plant the largest private employer in the city. Other plants are located in Boston, Billerica, Marlborough, Westborough, Foxborough, and Randolph. It hasn’t been all bliss. There were labor strikes in 1946, 1960, 1969, 1986, and 2002. GE is cutting 300 jobs in Avon, where it plans to close its valve factory this year. Thursday, the company announced it would lay off 59 engineers in Lynn. The job cuts worry Pete Capano, president of the 1,400-member worker’s union in Lynn. Capano grew up a few streets away from the GE plant, where his father worked as a forklift operator for decades. A refrigeration mechanic at GE, he still lives on the same street but worries about the plant’s employees, now a fraction of the 13,000 that worked for GE in Lynn in the mid-1980s. “I want the place to be here 20 to 30 years from now, and I want it to be thriving. We remain hopeful that we can get some more work at the plant,” he said. Even with fewer workers, Lynn’s GE continues to hum. It builds about 500 helicopter engines, 70 fighter jet engines, and another 54 commercial jet engines every year. The company also remains the city’s largest taxpayer, writing a check to Lynn for about $900,000 each year. While fewer people work at the plant, and children of engineers and assemblers no longer grow up expecting to work for the company, GE is never far from the thoughts of many families whose parents made a living at the Lynn factory. In Danvers, Carpenter sat in his study and contemplated the role GE has played in his life decisions. He was raised in rural Maine, in a house with kerosene lamps. After he was accepted into GE’s apprentice program, he moved to the North Shore, where he worked in Lynn as a salesman. Steven A. Rosenberg can be reached at steven.rosenberg@globe.com. Follow him on Twitter @WriteRosenberg.